Pop. 254. 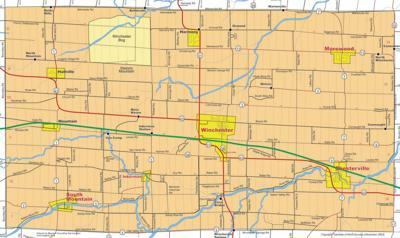 In Winchester T., Dundas C., on C. Rds. 7 & 13,33 km NW of Morrisburg. The post office was established as Morewood in 1862, named by postmaster Alex McKay for the dense woods that surrounded the community. Pop. 3,946. In Russell T., Prescott and Russell Cs., on the Castor R. and C. Rd. 3,37 km.SE of Ottawa. Pop. 3,648. 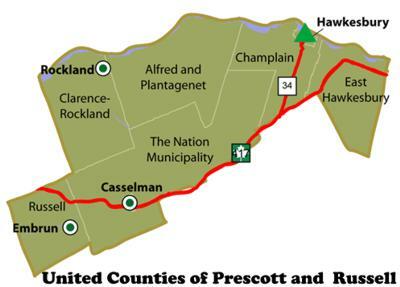 In Russell T., Prescott and Russell Cs., on the Castor R and C. Rds. 3 & 6, 33 km. SE of Ottawa. Pop. 555. In Finch T., Stormont, Dundas, and Glengarry Cs., on the South Nation R. and C. Rds. 12 & 13, 50 km. SE of Ottawa. Pop. 450. In Clarence T., Prescott and Russell Cs. on C. Rd. 2, 37 km E of Ottawa. Pop. 1,236. In Cambridge T., Prescott and Russell Cs., on C. Rd. 5, just N of Hwy 417, 40 km. E of Ottawa. Pop. 15. In Finch T., United Cs. 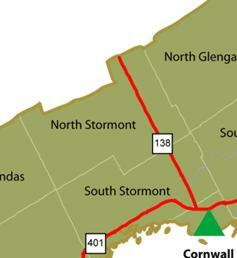 of Stormont, Dundas and Glengarry on the Payne R. and C. Rds. 9 & 12, 39 km. NW of Cornwall. Pop. 370. In the Reg. Mun. of Ottawa-Carleton on Hwy 31, 36 km SE of Ottawa. Pop. 626. In the Reg. Mun. of Ottawa-Carleton on C. Rds. 8 & 33, 24 km SE of Ottawa. Pop.289. In the Reg. Mun. of Ottawa-Carleton on the Castor R. and C. Rds. 6 & 29, 23 km. SE of Ottawa. Pop. 1,346. In Osgoode T., Carleton C., on C. Rds. 6 & 27, 30 km SE of Ottawa. The community, first known as Hawley's Centre, was named after Sir Charles Theophilus Metcalfe in 1877. He was governor of the province of Canada 1843-1846. Pop. 441. In Finch T., Stormont, Dundas, and Glengarry Cs., on the Payne R. and C. Rds. 12 & 43, 30 km. NW of Cornwall.